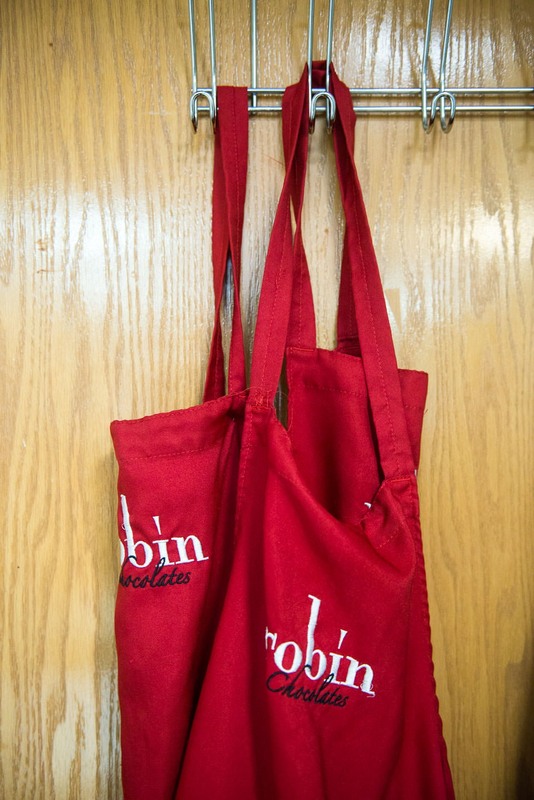 When you walk through the front door of Robin Chocolates, an indulgent experience awaits you. 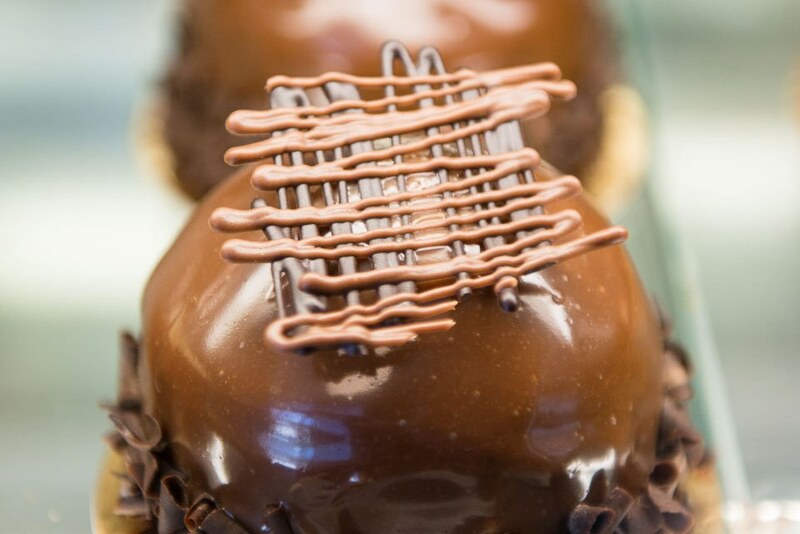 The gently embracing aroma of chocolate. 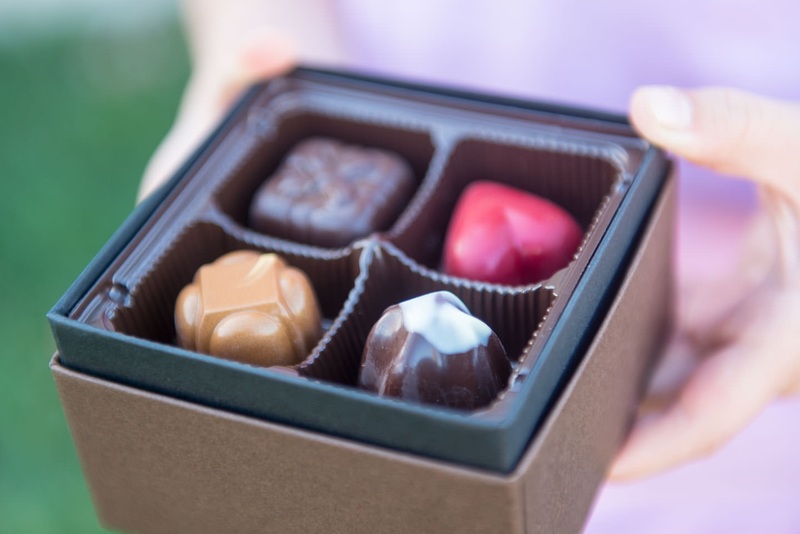 The beautiful chocolates on display. 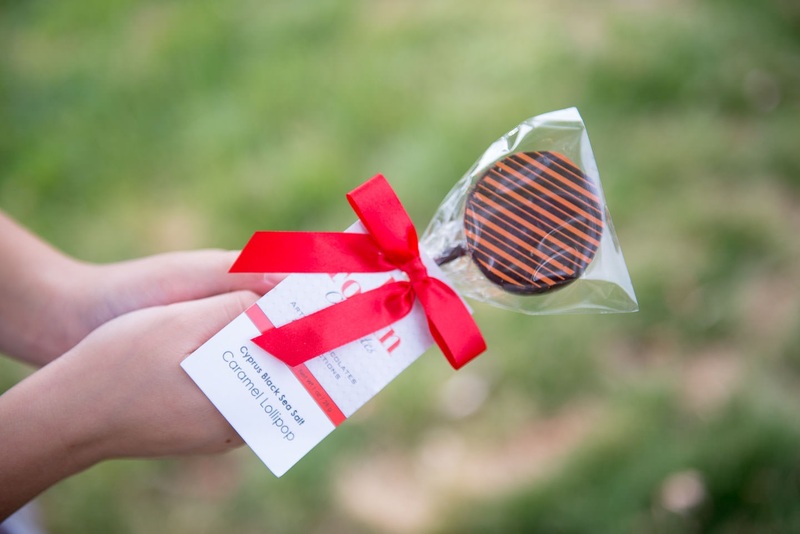 The mouth-watering samples set out for the taking. 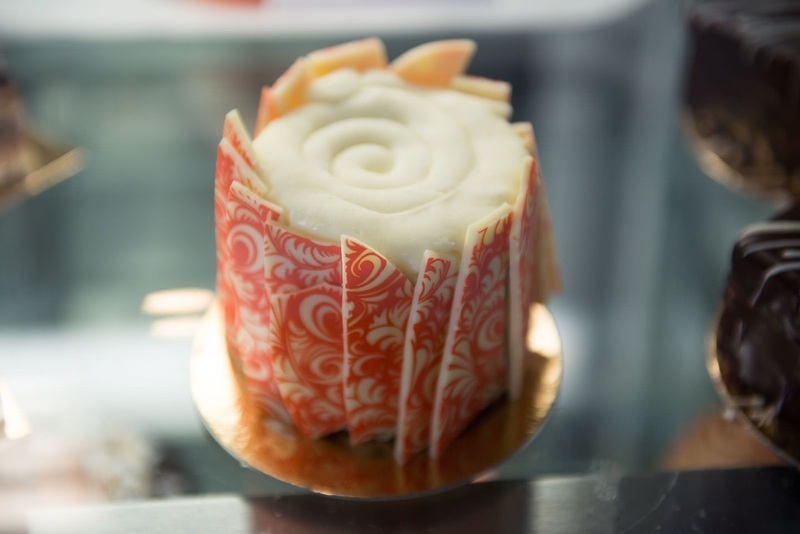 You find yourself wanting to linger in the store—especially in that indulgent feeling—even if you’ve never been interested in fine chocolate before. 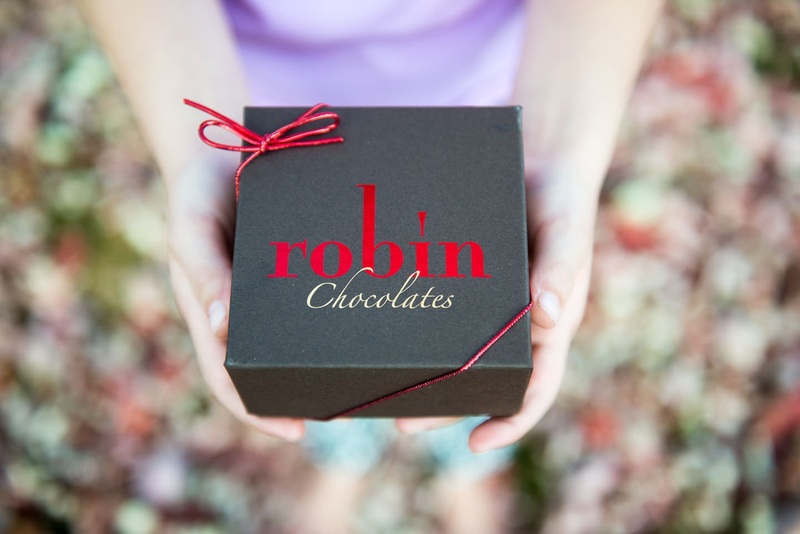 When Robin, the woman behind it all, confidently enters the bright storefront, you would never guess that her unconventional journey to chocolatier has been one of many twists and turns. In the Navy, she was placed in the electronics field with a focus on heavy earth terminal satellites. It was an area foreign to her and a far cry from her desire to work as a Naval journalist. “I was a female in a man’s world, but I wasn’t going to view myself as a victim because of it; it made me work a lot harder.” During her time of service, she also became a single mother, and while she continued proudly serving until her son was a teenager, she ultimately chose to leave the Navy rather than pursue her original goal of becoming an officer. 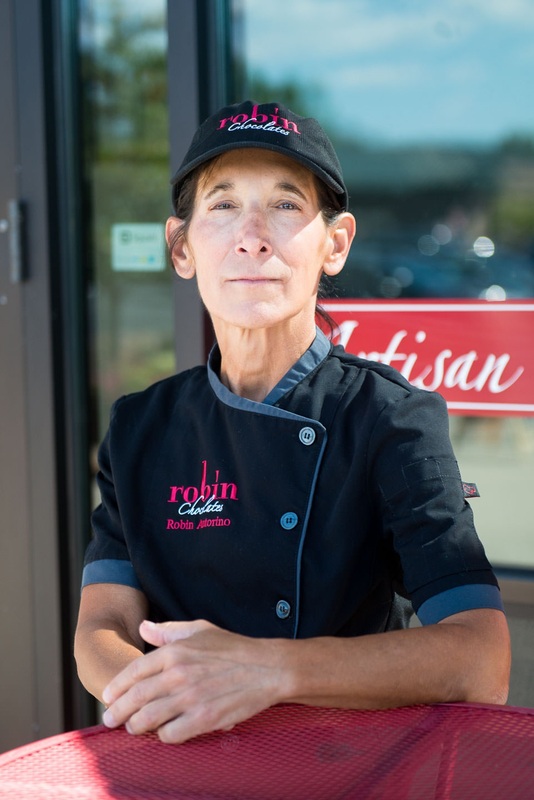 At an age when most were pursuing job security with an eye toward retirement, Robin instead walked away from her stable job to begin a completely new endeavor. Fortunately for her, she was no stranger to ignoring societal expectations. She had learned to do just that, as well as how to work hard and with determination, from her mother and maternal grandmother. Her mother, a geriatric nurse and director of nurses in nursing homes, had also been an Ironman triathlete. 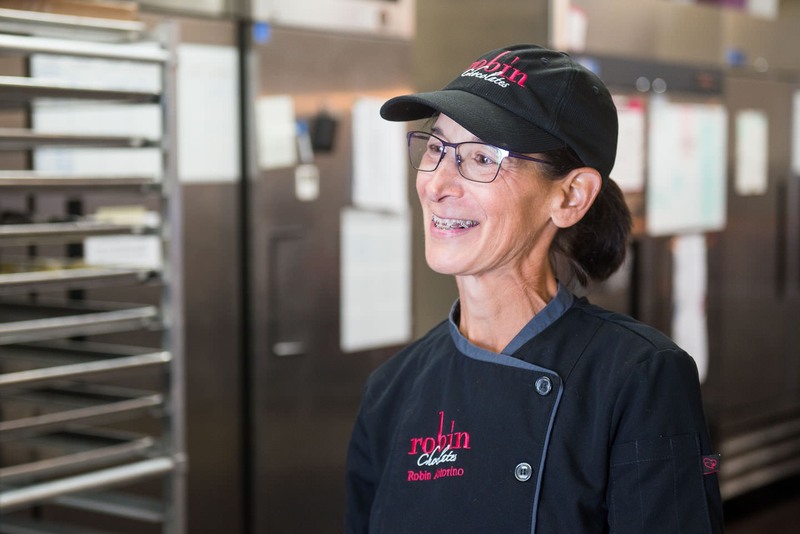 “She wasn’t a natural athlete,” Robin says, “but she was determined, very hard working, and an incredible woman.” Her grandmother also displayed strength and generosity her entire life despite being blind from birth. “I just adored her. 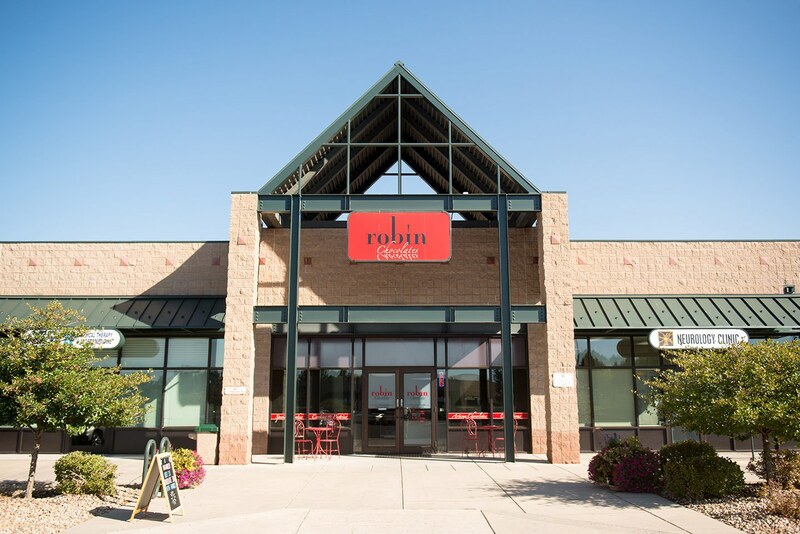 And the way she cared for people—she would give the shirt off her back to help somebody less fortunate,” Robin fondly remembers. 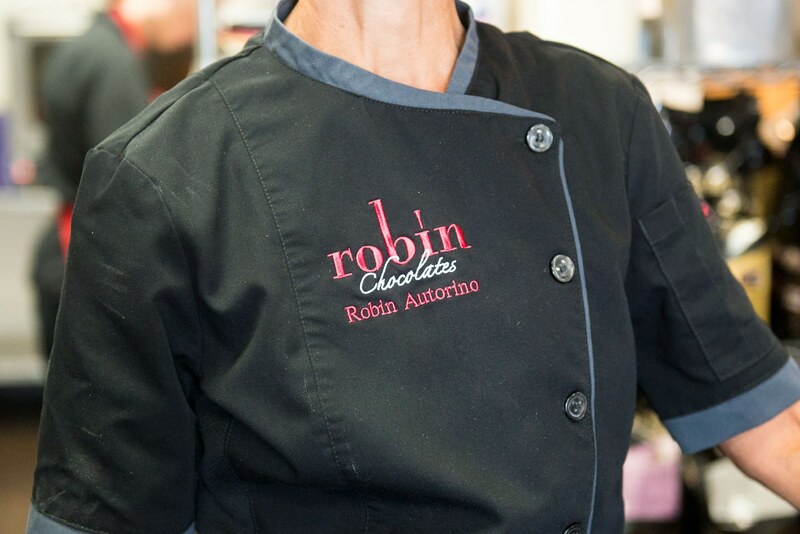 Over the past ten years, Robin has continued studying with some of the top chocolatiers in North America and Europe, and has built in Longmont an award-winning business. 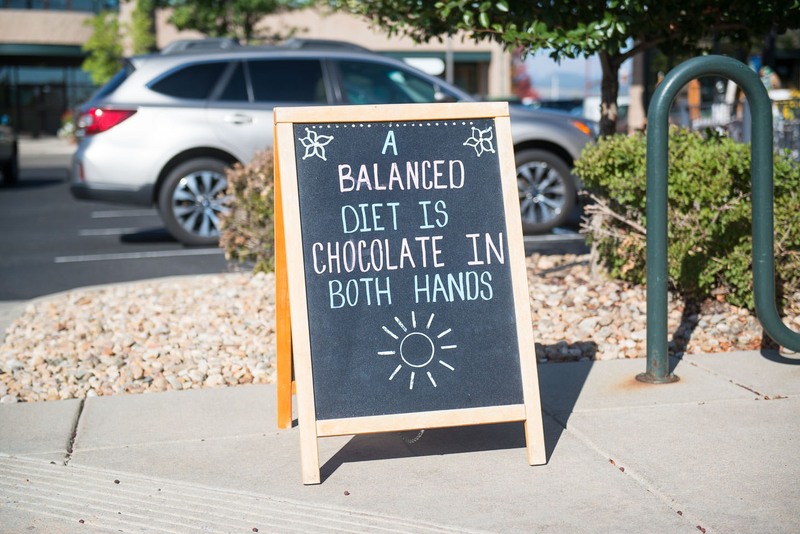 However, when talking to her it’s clear that it's not just about excelling at chocolate-making for its own sake. Rather, it is ultimately about the people she serves. 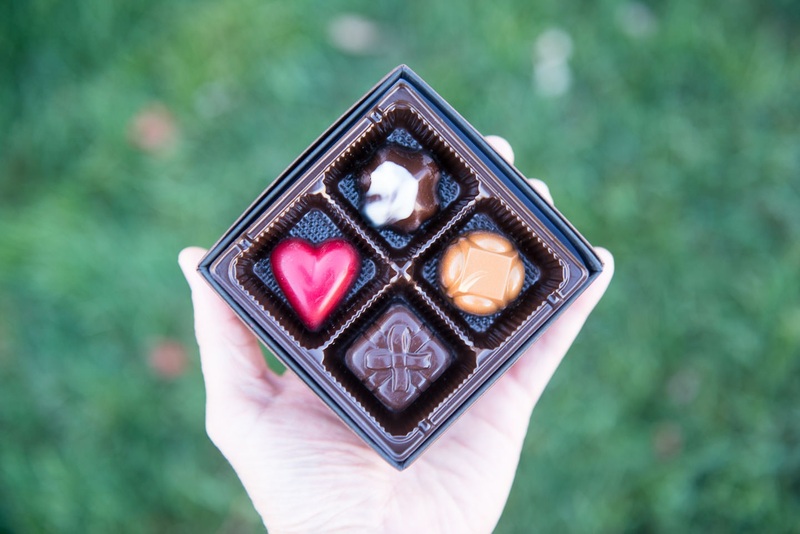 “If I make a chocolate that I love and nobody else likes it, what’s the point? 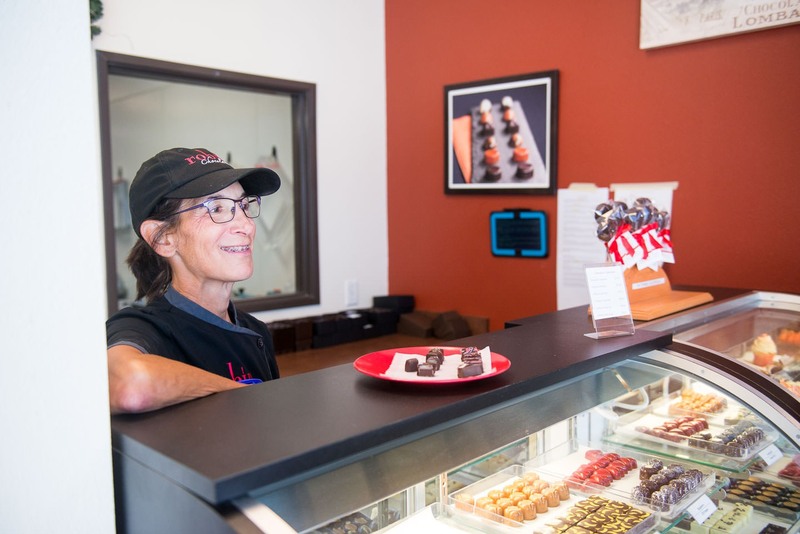 My goal is to make others happy.” And now, after the many twists and turns of her life journey, she is doing just that—making fine chocolates and providing the feelings of happiness and yes, indulgence, to the people of Longmont and beyond.